Life is like a dessert if sweetened with love. As a young girl I could never understand the importance of food,culinary art and relationships. Being academically brightbeliii I believed in wielding my pen instead of a laddle,so my mother’s words to learn basic cooking skills fell on deaf ears. 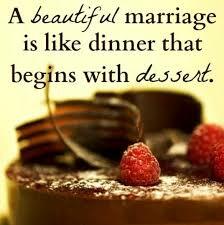 The minute I got engaged I was in a tizzy as my fiance made it clear that he liked eating,well cooked home food. I had never bothered to enter the kitchen and now my future depended on the culinary art.I tried to learn a few basic skills to make food. A month after the wedding we have a ritualWhen the new bride enters the kitchen and prepares the first meal in her marital home.This is the acid test to be inducted into the new family.The elders taste the meal and bless the bride with cash and kind. The day I was asked to prepare the meal I had butterflies in my stomach.I decided to go in for gourmet fare instead of plain fare Il had hoped to impress my new family.My m.i.l showed me where all things were kept and pushed out of the kitchen.No one was allowed to venture in while I prepared the meal. I decided to go in for pasta,fried rice and a dessert as that is the essential part of the menu.I took a couple of hours to prepare the meal,while the family grumbled as their stomachs rumbled with hunger.After completion I laid the table and called them.I waited with bated breath as the tasting was a la masterchef affair where I got nasty comments. The pasta had been overdone not al-dante but hubby ate manfully,the fried rice had caramellised onions and was too salty,so m.i.l snorted and smirked .My F.i.l and B.i.l having sweet tooths tried the dessert which had become a gooey mess.They were aghast to see my poor culinary skills. I was too embarassed but I myself was to blame,so I worked on this to become a proficient chef. Cooking is an art which is like meditation ,it requires concentration and effort to get good results. Now I am a good cook and my husband appreciates my cooking,we may have faced innumerable storms in our relationship but my cooking has saved the day. A science doctorate,proof reader,freelance writer.